You know when you try and be super careful with something and then you end up messing it all up because you were over careful? Ugh I had one of those recently! You see, I’ve written off one car, driven into my parents PARKED car about five times, had my fair share of speeding tickets, and the only people who seem to be ok to be in the car with me are Mum and Dad (hugs!). So, last week when my car finally came back from repairs, all nice and scratch-free, I was determined to keep it that way. I picked up BW from work on our way to dinner and drove like a grandma the whole way. 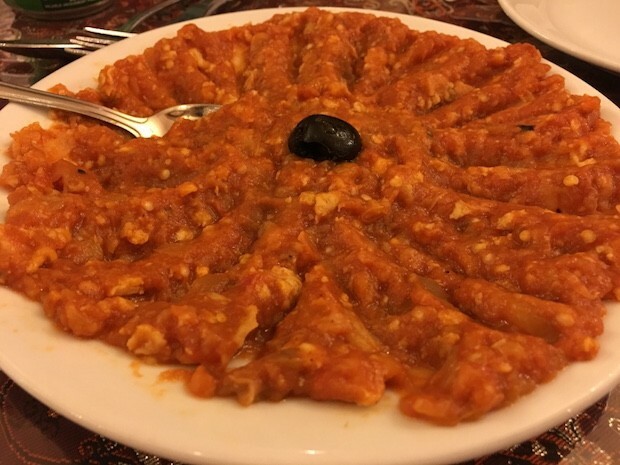 I breathed a sigh of relief once we got to Mahdi Restaurant, but, of course, the inevitable happened and I grazed one of the rims whilst parking. Sigh! I told BW he was driving us home! The restaurant was absolutely packed on a Wednesday evening! After waiting for around ten minutes, we were finally shown our table and given menus. 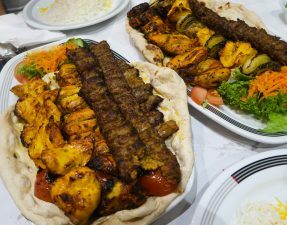 I had a not-so-subtle glance over at the tables around us, and my eyes fell on a behemoth of a plate stuffed with chicken, kebabs, and basically everything Persian. My hunger got the best of me and I insisted we ordered straight away. 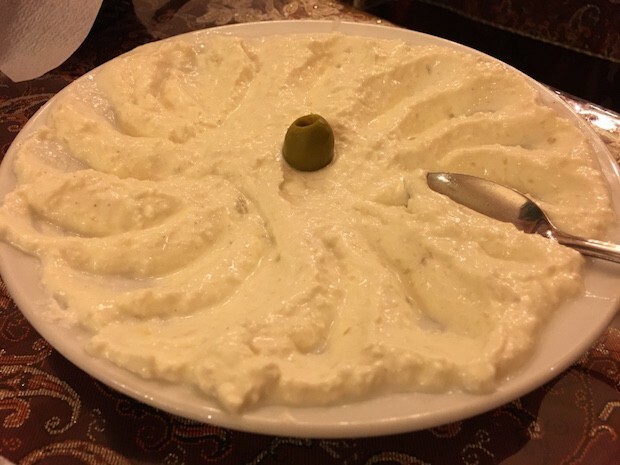 Creamy yoghurt with little chunks of shallots; the perfect accompaniment to our meaty main meal. I’m not usually the biggest fan of this, but was pleasantly surprised with Mahdi’s version. The egg was not too overpowering so you could taste both the aubergine and strong tomato base. Lovely with the sesame seeded naan. 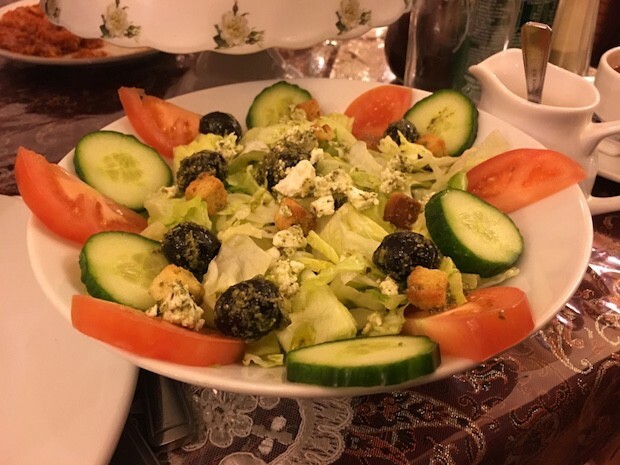 And finally, our eye-popping, envy-inducing meat feast arrived alongside a plate of saffron rice and a big bowl of salad. Hm, it looked a little bigger when placed in front of us as opposed to the next table, but casting my worry aside, I rolled up my sleeves, popped open my jeans button, and got stuck in. First up were the lamb chops; succulent and lined with a lovely layer of soft fat. Great flavour but started to become a little lamb-y once they had cooled down. The joojeh chicken pieces were soft and you could taste the distinctive flavours of the aromatic saffron and zingy lemon. 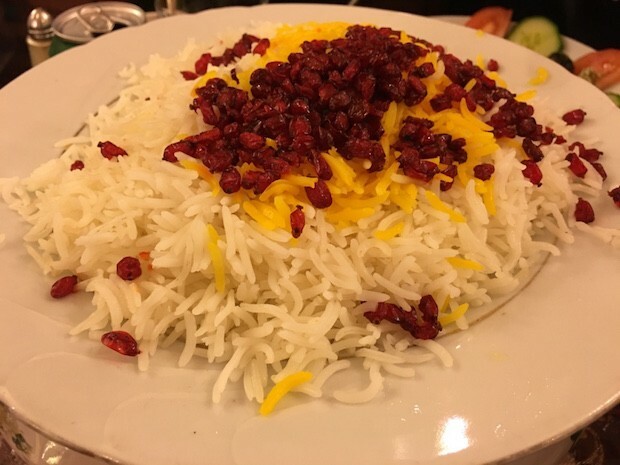 And naturally, the koobideh was the best of the three; incredibly juicy, meaty, and really hit the spot with the seasoning. Perhaps my eyes were bigger than my stomach, but I’m embarrassed to say that we just about managed half between the two of us; it was simply too much so we packed it up and took it home for lunch the next day. 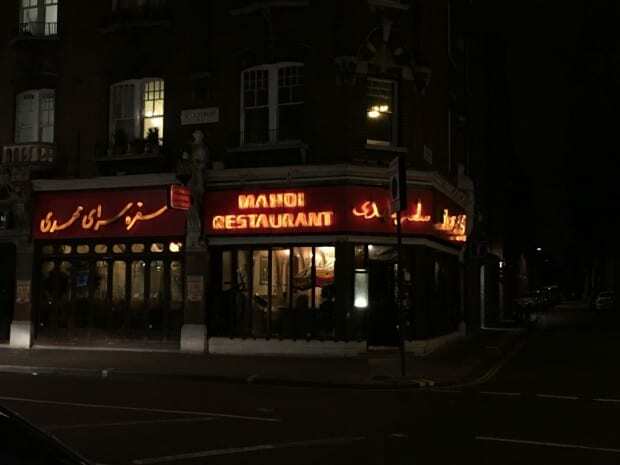 I was really, really impressed with our meal at Mahdi’s. 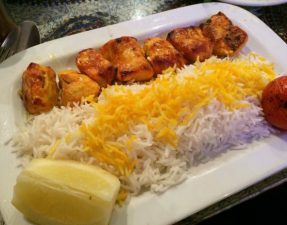 From the quick service to the absolutely delicious food, this was easily one of the best Persians I’ve had in a very long time. The final bill amounted to £40 for the two of us including drinks and service, so £20 each, which is excellent value for money considering the size of their portions! 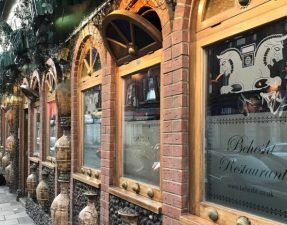 Came here years ago and loved it – the food was lovely. The only reason I haven’t been back is because parking in Hammersmith is such a pain! I’m in this restaurant at least once a month. And that mixed grill is ordered without fail. 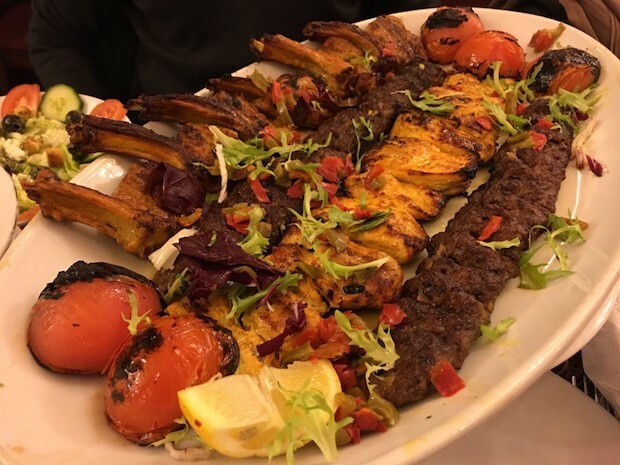 Bear in mind the mixed grill for 3 just throws in a skewer of grilled chicken wings and not much else. If I’m with 2 others we will order the mixed grill for 2 and another main. 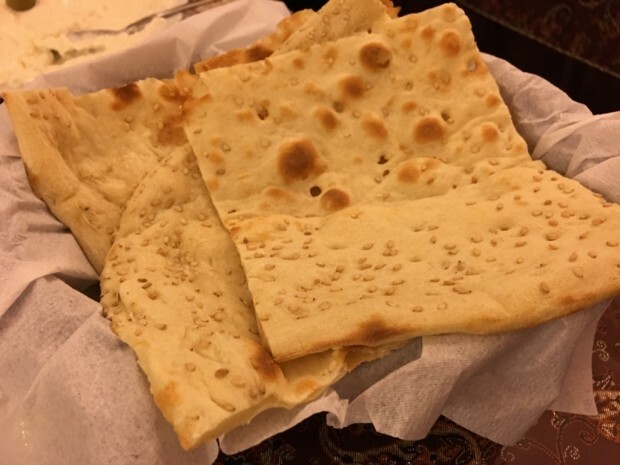 We always order the houmous but more so because he fresh naan is so yum! ‘Absolutely delicious food’ gets a score of 6.5/10?